Originating in Portugal in Royal kennels, the Portuguese Pointer is believed to have descended from dogs used by falconers in the 5th and 6th centuries. 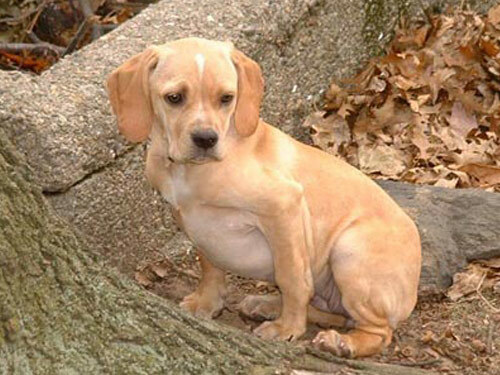 A popular hunting dog, this breed is considered to be extremely rare. The Portuguese Pointer is valued for its strong pointing, hunting, and retrieving instincts. A devoted hunting companion, this breed is an avid hunter over all types of terrain and in any climate. Portuguese Pointer's are used in the hunting of small and large game, particularly the gray partridge. The Portuguese Pointer breed is intelligent, faithful, attentive, and affectionate. They are excellent family companions that do well with children and other dogs. The Portuguese Pointer breed require regular brushing and combing. Ears must be checked often. The Portuguese Pointer is relatively healthy due to its rarity and limited human intervention. The Portuguese Pointer breed's coat is coarse, dense, and short. The fur on the face and ears is slightly longer and has a velvet texture. Portuguese Pointer's require early obedience and socialization. They do best with a fair but firm owner. It is quite common for puppies to begin pointing and retrieving sticks with no formal training. The Portuguese Pointer is not recommended for apartment living. This breed requires regular exercise and thrives on hunting and companionship.